How to make your own iPhone ringtone with Xilisoft iPhone Ringtone Maker? How to make your own iPhone ringtone? Follow the steps to complete the task. 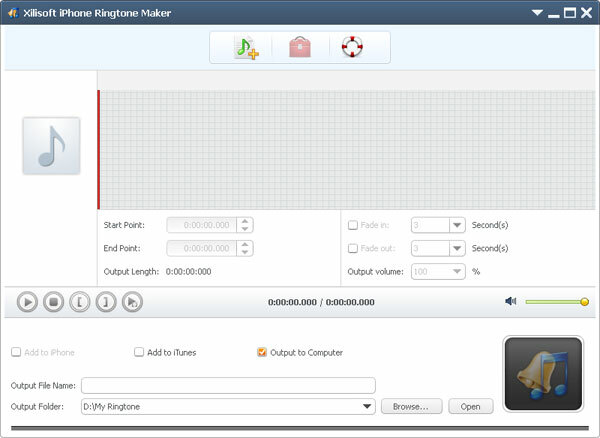 Free download at: iPhone Ringtone Maker (No-Limited Version). Click the "Browse" button right beside "Input File" label to select the file you want to create ringtone in the dialog that pops up, then click "OK" button to load the file into the "Input File" textbox. Enter the name in the "Output File Name" textbox or keep the original name, and click "Browse" button on the right side of the "Output Folder" to choose a folder for saving the outputted ringtones. More info you can visit: Make your own iPhone Ringtone.